You will find the ultimate solution for perfect sports videos at http://www.prodad.com/! Speed, action and of course the appropriate video recordings of your adventure for friends and acquaintances: An exciting and action-packed day on the motorbike or on the ski slopes is often followed by a cosy evening on the computer in order to view and to further editthe action videos. After all, you also want to share your adventure on Facebook, YouTube, your blog, or in the forum. The only drawback: Blurred recordings, distorted margins in the video or abnormal colours. We have the ultimate solution: ProDRENALIN! 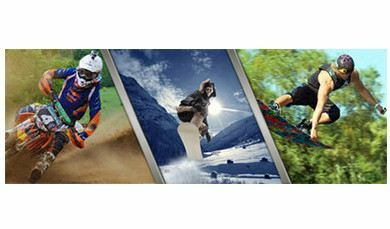 ProDRENALIN can transform your videos recorded with action cam and Go-Pro into great sports motion pictures. Removal of image distortion from the fish-eye effect, rolling shutter correction, image stabilisation, removing interference, colour correction and rotations - ProDRENALIN offers you everything inexpensively and especially professionally. Still have questions? Browse our site and let this idea which is revolutionising the domain of action videos of athletes and adrenaline junkies convince you. Videoaktiv (http://www.videoaktiv.de/PraxisTechnik/EDITING-Hintergrundinfo/Test-und-Workshop-Prodad-Prodrenalin-Action-Cam-Software.html) refers to the excellent compatibility with the GoPro Action Cam and provides a video ready for viewing as well as a detailed test (http://www.videoaktiv.de/201307079145/Artikel/EDITING/Stresstest.html). Do you think that your shots are not exactly perfect, but are still good? Click on your sports section of http://www.prodad.com/und look at a before/after video. In it, you can see what you can do for your sports videos with ProDRENALIN. Your friends and acquaintances will be impressed when they see your great films of adventure in the car, on the water, on the bike, in the mud, on the motorbike or even with jumps in the air. Make your videos distinctive, exciting and above all, worth viewing! Comments like "Take care of yourself, dude. Don't hurt yourself!" and "Awesome, what are you doing!" await you! Well, if that doesn't sound good. Get your ProDRENALIN and edityour videos into real action films with professional quality. Your clips will stand out clearly from the great mass of poor and blurry 0-8-15 YouTube videos. Wie sieht es eigentlich im Puncto Sound, also Mikrofon, aus. WIe ich halbwegs ordentliche Videos mache, habe ich so langsam raus, aber manchmal will man dann doch die Audioaufnahmen nutzen, die ja bekanntlich bei Actioncams eher schlecht sind. WIe geht ihr da vor?